Gary Dunbar makes his wines in the Mount St. Helens foothills town of Castle Rock, so many of bottlings carry a theme tied to the famous volcano. 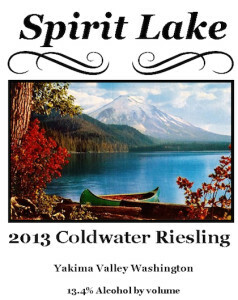 In this case, the grapes come from the Yakima Valley, but here he pays tribute to the body of water made famous in party by World War I veteran Harry Randall Truman, who died when his commercial lodge was buried under 150 feet of mountain as a result of the 1980 eruption. This off-dry Riesling is delicious with aromas of apple blossom, rosewater and apricot with baked pear, dried Granny Smith apple and a whiff of petrol. The theme of orchard fruit continues with pleasing flavors of green apple and Asian pear, backed by a combination of acidity and river rock that elegantly balances the 3% residual sugar. 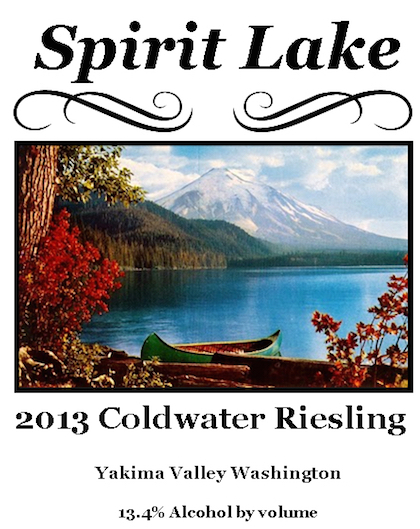 This received a silver medal at the 2015 Capital Food and Wine Festival Wine Competition.